Chung KC, Malay S, ShauverMJ, Kim HM, The WRIST Group (HealthPartners Investigators: Kalliainen LK, Ward CM, Fletcher JW, Heinrich CA, Pico KS, Mahajan AY, Hill BW, Vang S). Assessment of Distal Radius Fracture Complications Among Adults 60 Years or Older: A Secondary Analysis of the WRIST Randomized Clinical Trial. JAMA Netw Open. 2019 Jan 4;2(1):e187053. Onizuka N, Anderson JP, Displacement of diaphyseal clavicle fractures related to patient position and progressive displacement in the peri-injury period. J Shoulder Elbow Surg. 2018 Apr;27(4):667-673. McCreary DL, Dugarte AJ. Publication of Podium Presentations at the Orthopaedic Trauma Association Annual Meetings: 2008-2012. J Orthop Trauma. 2018 May;32(5):e166-e170. Sprague S, SchemitschEH, SwiontkowskiM, Della Rocca GJ, JerayKJ, LiewS, SlobogeanG, BzovskyS, Heels-AnsdellD, Zhou Q, Bhandari M; FAITH Investigators (Regions Hospital Investigators – Foley AL, Vang S, Wright DM). Factors Associated with Revision Surgery Following Internal Fixation of Hip Fractures. J OrthopTrauma. 2018 May;32(5):223-230. Sprague S, Bhandari M, Heetveld MJ, Liew S, Scott T, Bzovsky S, Heels-Ansdell D, Zhou Q, Swiontkowski M, Schemitsch EH; FAITH investigators. Factors Associated with Health-Related Quality of Life, Hip Function, and Health Utility after Operative Management of Femoral Neck Fractures. Bone Joint J. 2018;100-B:361-369. McCreary DL, White M, Vang S, Plowman B. Time-Driven Activity-Based Costing in Fracture Care: Is This a More Accurate Way to Prepare for Alternative Payment Models? J Orthop Trauma. 2018 Jul;32(7):344-348. Dugarte AJ. Posterior Scapula Approaches: Extensile and Modified Judet. J Orthop Trauma. 2018 Aug;32 Suppl 1:S10-S11. Dugarte AJ, TkanyL, Schroder LK, PetersikA, Cole PA. Comparison of 2 versus 3 Dimensional Fracture Mapping Strategies for 3 Dimensional Computerized Tomography Reconstructions of Scapula neck and body fractures. J OrthopRes. 2018 Jan;36(1):265-271. Epub2017 Jun 2. Tatro JM, Gilbertson JA, Schroder LK. Five to Ten-Year Outcomes of Operatively Treated Scapular Fractures. J Bone Joint SurgAm. 2018 May 16;100(10):871-878. KinnucanE, MolcjanMT, Wright DM. A Prospective Look at the Link Between Frailityand Shoulder Function in Asymptomatic Elderly Individuals. GeriatrOrthopSurgRehabil. 2018 Jun 21;9:2151459318777583. Brock JL, Huffman GR. Ulnar Collateral Ligament Reconstruction in Athletes Using a Cortical Button Suspension Technique. J Shoulder Elbow Surg. 2018 Aug;27(8):1366-1372. Epub2018 Jun 13. Brock JL, Huffman GR. Recurrent Tardy Ulnar Collateral Ligament Insufficiency Due to CubitusValgus: Management with Concomitant Osteotomy and Dual Cortical Button Suspension Technique. JSES Open Access. 2018 Jun 26;2(2):129-132. eCollection2018 Jul. McCreary DL, Pena F, SwiontkowskiMF. Functional Outcomes of Symptomatic Implant Removal Following Ankle Fracture Open Reduction and Internal Fixation. Foot Ankle Int. 2018 Jun;39(6):674-680. Epub2018 Feb 20. MondorM, Halweg J. Ten years of EMS Fall Calls in a Community: An Opportunity for Injury Prevention Strategies. Geriatr Orthop Surg Rehabil. 2018 Jul 4;9:2151459318783453. Coughlan MJ, DeBaun MR, Schultz B, Bishop JA, Gardner MJ. Avoiding Neurovascular Risk During Percutaneous Clamp Reduction of Spiral Tibial Shaft Fractures: An Anatomic Correlation With Computed Tomography. J Orthop Trauma. 2018 Sep;32(9):e376-e380. Miclau T, MacKechnie MC, Shearer DW; COACT group (Regions Hospital Investigators). Consortium of Orthopaedic Academic Traumatologists: A Model for Collaboration in Orthopaedic Surgery. J Orthop Trauma. 2018 Oct;32 Suppl 7:S3-S7. Challa S, Wu HH, Liu M, Patel K, Shearer DW, Morshed S, Miclau T. Orthopaedic Trauma in the Developing World: Where Are the Gaps in Research and What Can Be Done? J Orthop Trauma. 2018 Oct;32 Suppl 7:S43-S46. Cole Jr PA, Gilbertson JA, Cole Sr PA. Functional Outcomes of Operative Management of Scapula Fractures in a Geriatric Cohort. J Orthop Trauma. 2017;31(1):e1-e8. Johnson JD, Nessler JM, Horazdovsky RD, Vang S, Thomas AJ, Marston SB. Serum and Wound Vancomycin Levels After Intrawound Administration in Primary Total Joint Arthroplasty. J Arthroplasty. 2017 Mar;32(3):924-928. Epub 2015 Oct 26. Fixation using Alternative Implants for the Treatment of Hip fractures (FAITH) Investigators (Regions Hospital Investigators – Switzer JA, Cole PA, Anderson SA, Lafferty PM, Li M, Ly TV, Marston SB, Foley AL, Vang S, Wright DM). Fracture fixation in the operative management of hip fractures (FAITH): an international, multicentre, randomised controlled trial. Lancet. 2017 Apr 15;389(10078):1519-1527. Epub 2017 Mar 3. Cunningham BP, Brazina S, Morshed S, Miclau T 3rd. Fracture healing: A review of clinical, imaging and laboratory diagnostic options. Injury. 2017 Jun;48 Suppl 1:S69-S75. Epub 2017 May 5. Cole PA, Hesse DK, Dugarte AJ, Dyskin E. The Pelvic Bridge: A Subcutaneous Approach for Anterior Pelvic Fixation. JBJS Essent Surg Tech. 2017;7(3):e20. doi:10.2106/JBJS.ST.15.00085. Cole PA, Dyskin E, Dugarte AJ, Hesse D. Open Reduction and Internal Fixation of a Middle-Third Clavicle Fracture with a Superior Plate. JBJS Essent Surg Tech. 2017;7(2):e16. doi:10.2106/JBJS.ST.16.00007. Li M, Collier RC, Hill BW, Slinkard N, Ly TV. Comparing Different Surgical Techniques for Addressing the Posterior Malleolus in Supination External Rotation Ankle Fractures and the Need for Syndesmotic Screw Fixation. J Foot Ankle Surg. 2017 Jul – Aug;56(4):730-734. Torchia MT, Schroder LK, Hill BW, Cole PA. A Patient Follow-up Program for Short-Term Surgical Mission Trips to a Developing Country. J Bone Joint Surg Am. 2016 Feb 3;98(3):226-32. Ward CM, Larsen MC, Bohm KC, Rizkala AR. Outcomes of Nonoperative Treatment of Salter-Harris II Distal Radius Fractures. A Systematic Review. Hand. 2016 Mar;11(1):29-35. Bohm KC, Hill BW, Braman JP, Ly TV, Van Heest AE. Orthopedic Residency: Are Duty Hours Predictive of Performance? J Surg Educ. 2016 Mar-Apr;73(2):281-5. Epub 2016 Jan 13. Kane RL, Switzer JA, Forte ML. Rethinking Orthopaedic Decision-Making for Frail Patients with Hip Fracture: Commentary on an article by Marilyn Heng, MD, FRCSC, et al. : “Abnormal Mini-Cog Is Associated with Higher Risk of Complications and Delirium in Geriatric Patients with Fracture”. J Bone Joint Surg Am. 2016 May 4;98(9):e39. Frank T, Osterhoff G, Sprague S, Garibaldi A, Bhandari M, Slobogean GP; FAITH Investigators (Regions Hospital Investigators – Switzer JA, Cole PA, Anderson SA, Lafferty PM, Li M, Ly TV, Marston SB, Foley AL, Vang S, Wright DM). The Radiographic Union Score for Hip (RUSH) Identifies Radiographic Nonunion of Femoral Neck Fractures. Clin Orthop Relat Res. 2016 Jun;474(6):1396-404. Schroder LK, Gauger EM, Gilbertson JA, Cole PA. Functional outcome after operative management of extra-articular glenoid neck and scapular body fractures. J Bone Joint Surg AM. 2016 Oct;98(19):1623-1630. Waldrop R, Wood W, Cunningham BP, McLemore R, McLaren A. Oblique Terminal Screw Placement: Does It Improve Fixation in Plate Osteosynthesis? J Orthop Trauma. 2016 Nov;30(11):e375-e376. Emohare O, Wiggin M, Hemmati P, Switzer J. Assessing bone mineral density following acute hip fractures: The role of computed tomography attenuation. GeriatrOrthopSurgRehabil. 2015;6(1):16-21. Zlowodzki MP, Wijdicks CA, Armitage BM, Cole PA. Value of washers in internal fixation of femoral neck fractures with cancellous screws: a biomechanical evaluation. J Orthop Trauma. 2015 Feb;29(2):e69-72. Li M, Cole PA. Anatomical considerations in adult femoral neck fractures: how anatomy influences the treatment issues? Injury. 2015 Mar;46(3):453-8. OʼConnor TJ, Mueller B, Ly TV, Jacobson AR, Nelson ER, Cole PA. “A to p” screw versus posterolateral plate for posterior malleolus fixation in trimalleolar ankle fractures. J Orthop Trauma. 2015 Apr;29(4):e151-6. Burgers PT, Poolman RW, Van Bakel TM, Tuinebreijer WE, Zielinski SM, Bhandari M, Patka P, Van Lieshout EM; HEALTH and FAITH Trial Investigators (Regions Hospital Investigators – Switzer JA, Li M, Marston SB, Cole PA, Vang S, Ly TV, Anderson SA). Reliability, validity, and responsiveness of the Western Ontario and McMaster Universities Osteoarthritis Index for elderly patients with a femoral neck fracture. J Bone Joint Surg Am. 2015 May 6;97(9):751-7. Gauger EM, Hill BW, Lafferty PM, Cole PA. Outcomes after operative management of symptomatic rib nonunion. J Orthop Trauma. 2015 Jun;29(6):283-9. Mulawka B, Jacobson AR, Schroder LK, Cole PA. Triple and quadruple disruptions of the superior shoulder suspensory complex. J Orthop Trauma. 2015 Jun;29(6):264-70. Karam MD, Thomas GW, Koehler DM, Westerlind BO, Lafferty PM, Ohrt GT, Marsh JL, Van Heest AE, Anderson DD. Surgical Coaching from Head-Mounted Video in the Training of Fluoroscopically Guided Articular Fracture Surgery. J Bone Joint Surg Am. 2015 Jun 17;97(12):1031-1039. Cole PA Jr, Jacobson AR, Cole PA Sr. Open Reduction and Internal Fixation of Scapula Fractures in a Geriatric Series. GeriatrOrthopSurgRehabil. 2015;6(3):1-6. Cole PA, Jamil M, Jacobson AR, Hill BW. “The Skiver Screw”: A Useful Fixation Technique for Iliac Wing Fractures. J Orthop Trauma. 2015;29(7):231-4. Zielinski SM, Heetveld MJ, Bhandari M, Patka P, Van Lieshout EM; FAITH Trial Investigators (Regions Hospital Investigators – Switzer JA, Cole PA, Anderson SA, Lafferty PM, Li M, Ly TV, Marston SB, Foley AL, Vang S, Wright DM). Implant removal after internal fixation of a femoral neck fracture: effects on physical functioning. J Orthop Trauma. 2015 Sep;29(9):e285-92. Cole PA, Dyskin EA, Gilbertson JA. Minimally-invasive fixation for anterior pelvic ring disruptions. Injury. 2015 Sep;46Suppl 3:S27-34. Emohare O, Dittmer A, Morgan R, Switzer J, and Polly D: Osteoporosis in acute fractures of the cervical spine: the role of opportunistic CT screening. J Neurosurg Spine, 2015 July;23(1):1-7. Zmistowski B, Della Valle C, Bauer TW, Malizos KN, Alavi A, Bedair H, Booth RE, Choong P, Deirmengian C, Ehrlich GD, Gambir A, Huang R, Kissin Y, Kobayashi H, Kobayashi N, Krenn V, Lorenzo D, Marston SB, Meermans G, Perez J, Ploegmakers JJ, Rosenberg A, C Simpfendorfer, Thomas P, Tohtz S, Villafuerte JA, Wahl P, Wagenaar FC, Witzo E. Diagnosis of periprosthetic joint infection. J Orthop Res. 2014 Jan;32Suppl 1:S98-107. Zmistowski B, Della Valle C, Bauer TW, Malizos KN, Alavi A, Bedair H, Booth RE, Choong P, Deirmengian C, Ehrlich GD, Gambir A, Huang R, Kissin Y, Kobayashi H, Kobayashi N, Krenn V, Lorenzo D, Marston SB, Meermans G, Perez J, Ploegmakers JJ, Rosenberg A, Simpendorfer C, Thomas P, Tohtz S, Villafuerte JA, Wahl P, Wagenaar FC, Witzo E. Diagnosis of periprosthetic joint infection. J Arthroplasty. 2014 Feb;29(2 Suppl):77-83. Epub 2013 Dec 15. Van Heest TJ, Lafferty PM. Injuries to the ankle syndesmosis. J Bone Joint Surg Am. 2014 Apr 2;96(7):603-13. Cole PA. Ask the Experts: Spiral Distal Diaphyseal Tibia and Fibula Fractures. Orthopedics. Epub 2014 May 13. Solfelt DA, Hill BW, Anderson CP, Cole PA. Supracondylar osteotomy for the treatment of cubitusvarus in children: a systematic review. Bone Joint J. 2014 May;96-B:691-700. Emohare O, Cagan A, Morgan R, Davis R, Asis M, Switzer J, Polly DW Jr. The use D137of computed tomography attenuation to evaluate osteoporosis following acute fractures of the thoracic and lumbar vertebra. GeriatrOrthopSurgRehabil. 2014 Jun;5(2):50-5. Johnson JD, Horazdovsky RD, Hill BW, Li M. Posterior Migration of a Pediatric Coronoid Fracture: A Case Report. JBJS Case Connector. 2014 Aug 27;4(3):e73. Cole PA. Commentary: Open reduction and plate fixation reduced nonunion after displaced midshaftclavicular fracture. J Bone Joint Surg Am. 2014 Aug 20;96(16):1397. Hill BW, Anavian J, Jacobson AR, Cole PA. Surgical management of isolated acromion fractures: technical tricks and clinical experience. J Orthop Trauma. 2014;28:e107-13. Hill BW, Rizkala AR, Li M. Clinical and functional outcomes after operative management of Salter-Harris III and IV fractures of the proximal tibial epiphysis. J PediatrOrthop B. 2014 Sep;23(5):411-8. O’Connor TJ, Cole PA. Pelvic insufficiency fractures. GeriatrOrthopSurgRehabil. 2014;5(4):178-190. Zielinski SM, Bouwmans CA, Heetveld MJ, Bhandari M, Patka P, Van Lieshout EM; FAITH trial investigators (Regions Hospital Investigators – Switzer JA, Li M, Marston SB, Cole PA, Vang S, Ly TV, Anderson SA). The societal costs of femoral neck fracture patients treated with internal fixation. Osteoporos Int. 2014 Mar;25(3):875-85. Epub 2013 Sep 27. Mathew G, Kowalczuk M, Hetaimish B, Bedi A, Philippon MJ, Bhandari M, Simunovic N, Crouch S, Ayeni OR; FAITH Investigators (Regions Hospital Investigators – Switzer JA, Li M, Marston SB, Cole PA, Vang S, Ly TV, Anderson SA). Radiographic prevalence of CAM-type femoroacetabular impingement after open reduction and internal fixation of femoral neck fractures. Knee Surg Sports TraumatolArthrosc. 2014 Apr;22(4):793-800. FAITH Investigators (Regions Hospital Investigators – Switzer JA, Li M, Marston SB, Cole PA, Vang S, Ly TV, Anderson SA). Fixation using alternative implants for the treatment of hip fractures (FAITH): design and rationale for a multi-centre randomized trial comparing sliding hip screws and cancellous screws on revision surgery rates and quality of life in the treatment of femoral neck fractures. BMC MusculoskeletDisord. 2014 Jun 26;15:219. Zielinski SM, Keijsers NL, Praet SF, Heetveld MJ, Bhandari M, Wilssens JP, Patka P, Van Lieshout EM; FAITH Trial Investigators (Regions Hospital Investigators – Switzer JA, Li M, Marston SB, Cole PA, Vang S, Ly TV, Anderson SA). Functional outcome after successful internal fixation versus salvage arthroplasty of patients with a femoral neck fracture. J Orthop Trauma. 2014 Dec;28(12):e273-80. Schirmers JD, Horazdovsky RD, Marston SB. Early Intraprosthetic Dislocation of Dual-Mobility Total Hip Arthroplasty Implant Following Attempted Closed Reduction: A Case Report. JISRF Reconstructive Review. 2014;4(3):23-26. Switzer JA, Bennett RE, Wright DM, Vang S, Anderson CP, Vlasak AJ, Gammon SR. Surgical time of day does not affect outcome following hip fracture fixation. GeriatrOrthopSurgRehabil. 2013;4:109-116. Emohare O, Slinkard N, Lafferty P, Vang S, Morgan R. The effect of early operative stabilization on late displacement of zone I and II sacral fractures. Injury. 2013 Feb;44(2):199-202. Lafferty PM, Hill BW, Cole PA.. Ulnar avascular necrosis? You be the judge. Injury Extra. 2013;44(2):15-18. Wijdicks CA, Anavian J, Ly TV, Spiridonov SI, Craig MR, Cole PA. Surgical management of a midshaft clavicle fracture with ipsilateral acromioclavicular dislocation: A report on 2 cases and review of the literature. Injury Extra. 2013;44(2):9-12. Benirschke SK, Meinberg EG, Anderson SA, Jones CB, Cole PA. Fractures and dislocations of the midfoot: lisfranc and chopart injuries. Instr Course Lect. 2013;62:79-91. Cross III WW, Levy BA, Morgan JA, Armitage BM, Cole PA. Periarticular raft constructs and fracture stability in split-depression tibial plateau fractures. Injury. 2013;44:796-801. WRIST Study Group: Chung KC, Kim HM, Haase SC, Lawton J, Ozer K, Waljee JF, Nellans K, Malay S, Shauver MJ; (HealthPartners Institute for Education and Research – Kalliainen L, Fletcher J, Heinrich C, Ward C, Hill BW). Reflections One Year into the 22 Center NIH-funded WRIST Study. A Primer on Conducting a Multicenter Clinical Trial. J Hand Surg 2013;38A:1194–1201. Truong WH, Hill BW, Cole PA. Automobile safety in children: a review of north american evidence and recommendations. J Am Acad Orthop Surg 2013 Jun;21(6):323-31. Cole PA, Mehrle RK, Bhandari M, Zlowodzki M. The Pilon Map: Fracture Lines and Comminution Zones in OTA/AO Type 43C3 Pilon Fractures. J Orthop Trauma. 2013;27:e152-6. Gauger EM, Ludewig PM, Wijdicks CA, Cole PA. Pre and Post Operative Function after Scapula Malunion Reconstruction: A Novel Kinematic Technique. J Orthop Trauma. 2013;27:e186-91. Wijdicks CA, Anavian J, Hill BW, Armitage BM, Vang S, Cole PA. The assessment of scapular radiographs: Analysis of anteroposterior radiographs of the shoulder and the effect of rotational offset on the glenopolar angle. Bone & Joint Journal. 2013;95-B:1114-1120. Cole PA, Dubin JR, Freeman G. Operative techniques in the management of scapular fractures. Orthop Clin North Am. 2013;44:331-343. Zielinski SM, Viveiros H, Heetveld MJ, Swiontkowski MF, Bhandari M, Patka P, Van Lieshout EM; FAITH trial investigators (Regions Hospital Investigators – Switzer JA, Li M, Marston SB, Cole PA, Vang S, Foley AL). Central coordination as an alternative for local coordination in a multicenter randomized controlled trial: the FAITH trial experience. Trials. 2012 Jan 8;13:5. Cole PA, Gauger EM, Herrera DA, Anavian J, Tarkin IS. Radiographic follow-up of 84 operatively treated scapula neck and body fractures. Injury. 2012;43:327-333. Anavian J, Gauger EM, Schroder LK, Wijdicks CA, Cole PA. Surgical and Functional Outcomes After Operative Management of Complex and Displaced Intra-Articular Glenoid Fractures. Journal of Bone & Joint Surgery – American Volume 2012 April;94(7):645-53. Moazzam C, Heddings AA, Moodie P, Cole PA. Anterior pelvic subcutaneous internal fixator application: an anatomic study. J Orthop Trauma. 2012;26:263-268. Cole PA, Gauger EM, Anavian J, Ly TV, Morgan RA, Heddings AA. Anterior Pelvic External Fixator Versus Subcutaneous Internal Fixator in the Treatment of Anterior Ring Pelvic Fractures. J Orthop Trauma 2012;26:269-277. Li M, Luettringhaus T, Walker KR, Cole PA. Operative treatment of femoral neck osteochondroma through a digastric approach in a pediatric patient: a case report and review of the literature. J Pediatr Orthop B. 2012 May;21(3):230-4. Cole, P. Invited Commentary: Understanding the Concept of Medialization in Scapula Fractures. J Orthop Trauma. 2012;26(6):357-359. Benirschke S, Meinberg E, Anderson S, Jones C, Cole P. Fractures and Dislocations of the Midfoot: Lisfranc and Chopart Injuries. J Bone Joint Surg Am. 2012;94(14):1326-1337. Hiesterman TG, Hill BW, Cole PA. Surgical technique: A percutaneous method of subcutaneous fixation for the anterior pelvic ring: The pelvic bridge. Clin Orthop Relat Res. 2012;470(8):2116-2123. Mansour J, Graf K, Lafferty P. Bleeding disorders in orthopedic surgery. Orthopedics. 2012;35:1053-1062. Switzer JA, Gammon SR. High-Energy Skeletal Trauma in the Elderly: A Current Concepts Review. J Bone Joint Surg Am. 2012 Dec 05;94(23):2195. Switzer JA, Michienzi AE. Elder abuse: an update on prevalence, identification, and reporting for the orthopaedic surgeon. J Am Acad Orthop Surg. 2012;20:788-794. Polly DW, Ledonio CGT, Sembrano JN, and Morgan RA: Defining appropriate spine care for the patient as well as society. Seminars in Spine Surgery. 2012; 24(2):123-126. Hill BW, Huang H, Li M. Paradoxical Cerebral Embolism After Total Knee Arthroplasty: A case report and review of the literature. Orthopedics. 2012 Nov 1;35(11):e1659-63. Hebert-Davies J, Laflamme GY, Rouleau D; HEALTH and FAITH investigators (Regions Hospital Investigators – Switzer JA, Li M, Marston S, Cole P, Vang SX, Ly T, Anderson S, Foley A). Bias towards dementia: are hip fracture trials excluding too many patients? A systematic review. Injury. 2012 Dec;43(12):1978-84. Lafferty PM, Anavian J, Will RE, Cole PA. Operative treatment of chest wall injuries: indications, technique, and outcomes. J Bone Joint Surg Am. 2011 Jan;93(1):97-110. Plocher EK, Anavian J, Vang S, Cole PA. Progressive displacement of clavicular fractures in the early postinjury period. J Trauma. 2011 May;70(5):1263-7. Glass ER, Thompson JD, Cole PA, Gause TM 2nd, Altman GT. Treatment of sternoclavicular joint dislocations: a systematic review of 251 dislocations in 24 case series. J Trauma. 2011 May;70(5):1294-8. Ward CM, Kuhl T, Adams BD. Five to ten-year outcomes of the Universal total wrist arthroplasty in patients with rheumatoid arthritis. J Bone Joint Surg Am. 2011 May 18;93(10):914-9. Freeman AL, Craig MR, Schmidt AH. Biomechanical comparison of tibial nail stability in a proximal third fracture: do screw quantity and locked, interlocking screws make a difference? J Orthop Trauma. 2011 Jun;25(6):333-9. Jeray KJ, Cole PA. Clavicle and scapula fracture problems: functional assessment and current treatment strategies. Instr Course Lect. 2011;60:51-71. Ly TV, Stover MD, Sims SH, Reilly MC. The use of an algorithm for classifying acetabular fractures: a role for resident education? Clin Orthop Relat Res. 2011 Aug;469(8):2371-6. Epub 2011 Jun 4. Cole PA, Talbot M, Schroder LK, Anavian J. Extra-articular malunions of the scapula: a comparison of functional outcome before and after reconstruction. J Orthop Trauma. 2011 Nov;25(11):649-56. Anavian J, Conflitti JM, Khanna G, Guthrie ST, Cole PA. A reliable radiographic measurement technique for extra-articular scapular fractures. Clin Orthop Relat Res. 2011 Dec;469(12):3371-8. Gauger EM, Cole PA. Surgical technique: a minimally invasive approach to scapula neck and body fractures. Clin Orthop Relat Res. 2011 Dec;469(12):3390-9. Will RE, Fleming ME, Lafferty PM, Fletcher JW, Cole PA. Low complication rate associated with raising mature flap for tibial nonunion reconstruction. J Trauma. 2011 Dec;71(6):1709-14. Hiesterman TG, Shafiq BX, Cole PA. Intramedullary nailing of extra-articular proximal tibia fractures. J Am Acad Orthop Surg. 2011 Nov;19(11):690-700. Porter SE, Russell GV, Sledge JC, Cole PA, Graves ML. A novel way to prevent lost scalpel blades during percutaneous placement of iliosacral screws. J Orthop Trauma. 2010 Mar;24(3):194-6. Sems SA, Johnson M, Cole PA, Byrd CT, Templeman DC; Minnesota Orthopaedic Trauma Group. Elevated body mass index increases early complications of surgical treatment of pelvic ring injuries. J Orthop Trauma. 2010 May;24(5):309-14. Anavian J, Khanna G, Plocher EK, Wijdicks CA, Cole PA. Progressive displacement of scapula fractures. J Trauma. 2010 Jul;69(1):156-61. MARS Group (Regions Hospital Investigator – Cooper JM), Wright RW, Huston LJ, Spindler KP, Dunn WR, Haas AK, Allen CR, Cooper DE, DeBerardino TM, Lantz BB, Mann BJ, Stuart MJ. Descriptive epidemiology of the Multicenter ACL Revision Study (MARS) cohort. Am J Sports Med. 2010 Oct;38(10):1979-86. Johnson JE, Anderson SA. One stage resection and pin stabilization of first metatarsophalangeal joint for chronic plantar ulcer with osteomyelitis. Foot Ankle Int. 2010 Nov;31(11):973-9. Switzer JA, Rolnick SJ, Jackson JM, Schneider NK, Dutkowski JE, Edgett DR. An opportunity for improving osteoporosis treatment in home health care. Geriatric Orthopaedic Surgery & Rehabilitation November 2010 1: 46-51. Boardman MJ, Herman MJ, Buck B, Pizzutillo PD. Hip fractures in children. J Am Acad Orthop Surg. 2009 Mar;17(3):162-73. Herrera DA, Anavian J, Tarkin IS, Armitage BA, Schroder LK, Cole PA. Delayed operative management of fractures of the scapula. J Bone Joint Surg Br. 2009 May;91(5):619-26. Marek DJ, Sechriest VF, Swiontkowski MF, Cole PA. Case report: reconstruction of a recalcitrant scapular neck nonunion and literature review. Clin Orthop Relat Res. 2009 May;467(5):1370-6. Epub 2008 Dec 12. Anavian J, Wijdicks CA, Vang S, Schroder LK, Cole PA. Surgery for scapula process fractures: good outcome in 26 patients. Acta Orthop. 2009 Jun;80(3):344-50. Ly TV, Swiontkowski MF. Treatment of femoral neck fractures in young adults. Instr Course Lect. 2009;58:69-81. 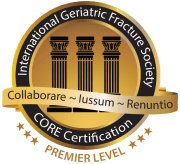 Bhandari M, Sprague S, Schemitsch EH; International Hip Fracture Research Collaborative (Regions Investigators – Cole PA, Switzer, JA). Resolving controversies in hip fracture care: the need for large collaborative trials in hip fractures. J Orthop Trauma. 2009 Jul;23(6):479-84. O’Donnell PW, Anavian J, Switzer JA, Morgan RA. The history of the halo skeletal fixator. Spine (Phila Pa 1976). 2009 Jul;34(16):1736-9. Switzer JA, Jaglal S, Bogoch ER. Overcoming barriers to osteoporosis care in vulnerable elderly patients with hip fractures. J Orthop Trauma. 2009 Jul;23(6):454-9. Wijdicks CA, Armitage BM, Anavian J, Schroder LK, Cole PA. Vulnerable neurovasculature with a posterior approach to the scapula. Clin Orthop Relat Res. 2009 Aug;467(8):2011-7. Epub 2008 Dec 4. Anavian J, Guthrie ST, Cole PA. Surgical management of multiple painful rib nonunions in patient with a history of severe shoulder girdle trauma: a case report and literature review. J Orthop Trauma. 2009 Sep;23(8):600-4. Armitage BM, Wijdicks CA, Tarkin IS, Schroder LK, Marek DJ, Zlowodzki M, Cole PA. Mapping of scapular fractures with three-dimensional computed tomography. J Bone Joint Surg Am. 2009 Sep;91(9):2222-8. Ly TV, Swiontkowski MF. Management of femoral neck fractures in young adults. Indian J Orthop. 2008 Jan;42(1):3-12. Herrera DA, Kregor P, Cole PA, Levy BA, Jönsson A, Zlowodzki M. Treatment of acute distal femur fractures above a total knee arthroplasty: Systematic review of 415 cases (1981-2006). Acta Orthop. 2008 Feb;79(1):22-7. Talbot M, Zdero R, Garneau D, Cole PA, Schemitsch EH. Fixation of long bone segmental defects: a biomechanical study. Injury. 2008 Feb;39(2):181-6. Epub 2007 Dec 27. Haidukewych G, Sems SA, Huebner D, Horwitz D, Levy B. Results of polyaxial locked-plate fixation of periarticular fractures of the knee. Surgical technique. J Bone Joint Surg Am. 2008 Mar;90 Suppl 2 Pt 1:117-34. Levy BA, Herrera DA, MacDonald P, Cole PA. The medial approach for arthroscopic-assisted fixation of lateral tibial plateau fractures: patient selection and mid- to long-term results. J Orthop Trauma. 2008 Mar;22(3):201-5. LaPrade RF, Ly TV, Griffith C. The external rotation recurvatum test revisited: reevaluation of the sagittal plane tibiofemoral relationship. Am J Sports Med. 2008 Apr;36(4):709-12. Epub 2008 Jan 8. Ly TV, Travison TG, Castillo RC, Bosse MJ, MacKenzie EJ; LEAP Study Group. Ability of lower-extremity injury severity scores to predict functional outcome after limb salvage. J Bone Joint Surg Am. 2008 Aug;90(8):1738-43. Redmond JM, Levy BA, Dajani KA, Cass JR, Cole PA. Detecting vascular injury in lower-extremity orthopedic trauma: the role of CT angiography. Orthopedics. 2008 Aug;31(8):761-7. Taller J, Kamdar JP, Greene JA, Morgan RA, Blankenship CL, Dabrowski P, Sharpe RP. Temporary vascular shunts as initial treatment of proximal extremity vascular injuries during combat operations: the new standard of care at Echelon II facilities? J Trauma. 2008 Sep;65(3):595-603. Zlowodzki M, Brink O, Switzer J, Wingerter S, Woodall J Jr, Petrisor BA, Kregor PJ, Bruinsma DR, Bhandari M. The effect of shortening and varus collapse of the femoral neck on function after fixation of intracapsular fracture of the hip: a multi-centre cohort study. J Bone Joint Surg Br. 2008 Nov;90(11):1487-94. Anderson SA, Li X, Franklin P, Wixted JJ. Ankle fractures in the elderly: initial and long-term outcomes. Foot Ankle Int. 2008 Dec;29(12):1184-8. Cole PA, Miclau T 3rd, Ly TV, Switzer JA, Li M, Morgan RA, Bhandari M. What’s new in orthopaedic trauma. J Bone Joint Surg Am. 2008 Dec;90(12):2804-22. Levy B, Herrera D, Templeman D, Cole P. Segmental proximal humerus fractures: a case report of submuscular plating. J Trauma. 2008 Dec;65(6):1554-7. Cole PA. Open tibia fracture: amputation versus limb salvage. OPINION: limb salvage. J Orthop Trauma. 2007 Jan;21(1):68-9.
Cooper JM. Clinical decision making: doctor, when can I drive? Am J Orthop (Belle Mead NJ). 2007 Feb;36(2):78-80. Gwinn DE, Morgan RA, Kumar AR. Gluteus maximus avulsion and closed degloving lesion associated with a thoracolumbar burst fracture. A case report. J Bone Joint Surg Am. 2007 Feb;89(2):408-12. Oh LS, Wolf BR, Hall MP, Levy BA, Marx RG. Indications for rotator cuff repair: a systematic review. Clin Orthop Relat Res. 2007 Feb;455:52-63. Coetzee JC, Ly TV. Treatment of primarily ligamentous Lisfranc joint injuries: primary arthrodesis compared with open reduction and internal fixation. Surgical technique. J Bone Joint Surg Am. 2007 Mar;89 Suppl 2 Pt.1:122-7. Haidukewych G, Sems SA, Huebner D, Horwitz D, Levy B. Results of polyaxial locked-plate fixation of periarticular fractures of the knee. J Bone Joint Surg Am. 2007 Mar;89(3):614-20. Khanna G, Levy BA. Oxford unicompartmental knee replacement: literature review. Orthopedics. 2007 May;30(5 Suppl):11-4. Cichanowski HR, Schmitt JS, Johnson RJ, Niemuth PE. Hip strength in collegiate female athletes with patellofemoral pain. Med Sci Sports Exerc. 2007 Aug;39(8):1227-32. LaPrade RF, Engebretsen AH, Ly TV, Johansen S, Wentorf FA, Engebretsen L. The anatomy of the medial part of the knee. J Bone Joint Surg Am. 2007 Sep;89(9):2000-10. Cole PA, Miclau T 3rd, Bhandari M. What’s new in orthopaedic trauma. J Bone Joint Surg Am. 2007 Nov;89(11):2560-77. Cole PA, Wijdicks CA. The operative treatment of diaphyseal humeral shaft fractures. Hand Clin. 2007 Nov;23(4):437-48, vi. Zlowodzki M, Vogt D, Cole PA, Kregor PJ. Plating of femoral shaft fractures: open reduction and internal fixation versus submuscular fixation. J Trauma. 2007 Nov;63(5):1061-5. Switzer JA. Strategies for fracture prevention in the elderly. US Musculoskeletal Review 2007 Dec;Issue II. Graves M, Cole PA. Diagnosis of peripheral vascular injury in extremity trauma. Orthopedics. 2006 Jan;29(1):35-7. Bonfiglio M, Lange TA, Kim YM. The Classic: Pyogenic vertebral osteomyelitis: disk space infections. 1973. Clin Orthop Relat Res. 2006 Mar;444:4-8. Ly TV, Coetzee JC. Treatment of primarily ligamentous Lisfranc joint injuries: primary arthrodesis compared with open reduction and internal fixation. A prospective, randomized study. J Bone Joint Surg Am. 2006 Mar;88(3):514-20. Zlowodzki M, Bhandari M, Zelle BA, Kregor PJ, Cole PA. Treatment of scapula fractures: systematic review of 520 fractures in 22 case series. J Orthop Trauma. 2006 Mar;20(3):230-3. Zlowodzki M, Zelle BA, Keel M, Cole PA, Kregor PJ. Evidence-based resources and search strategies for orthopaedic surgeons. Injury. 2006 Apr;37(4):307-11. Epub 2006 Feb 14. Levy BA, Vogt KJ, Herrera DA, Cole PA. Maisonneuve fracture equivalent with proximal tibiofibular dislocation. A case report and literature review. J Bone Joint Surg Am. 2006 May;88(5):1111-6. Switzer JA. Operative fixation of osteoporotic fractures. Canadian Orthopaedic Association, Bulletin May/June 2006 (73):25-27. Zlowodzki M, Bhandari M, Marek DJ, Cole PA, Kregor PJ. Operative treatment of acute distal femur fractures: systematic review of 2 comparative studies and 45 case series (1989 to 2005). J Orthop Trauma. 2006 May;20(5):366-71. Mankin HJ, Lange TA, Spanier SS. THE CLASSIC: The hazards of biopsy in patients with malignant primary bone and soft-tissue tumors. The Journal of Bone and Joint Surgery, 1982;64:1121-1127. Clin Orthop Relat Res. 2006 Sep;450:4-10. Cole PA, Bhandari M. What’s new in orthopaedic trauma. J Bone Joint Surg Am. 2006 Nov;88(11):2545-61. Marek DJ, Copeland GE, Zlowodzki M, Cole PA. The application of dermatotraction for primary skin closure. Am J Surg. 2005 Jul;190(1):123-6. Russell GV Jr, Jarrett CA, Jones CB, Cole PA, Gates J. Management of distal humerus fractures with minifragment fixation. J Orthop Trauma. 2005 Aug;19(7):474-9. Zlowodzki M, Zelle BA, Cole PA, Jeray K, McKee MD; Evidence-Based Orthopaedic Trauma Working Group. Treatment of acute midshaft clavicle fractures: systematic review of 2144 fractures: on behalf of the Evidence-Based Orthopaedic Trauma Working Group. J Orthop Trauma. 2005 Aug;19(7):504-7. Levy BA, Zlowodzki MP, Graves M, Cole PA. Screening for extermity arterial injury with the arterial pressure index. Am J Emerg Med 2005 Sep; 23(5):689-95. Cole PA, Bhandari M. What’s new in orthopaedic trauma. J Bone Joint Surg Am. 2005 Dec;87(12):2823-38. Talbot M, Steenblock TR, Cole PA. Posterolateral approach for open reduction and internal fixation of trimalleolar ankle fractures. Can J Surg. 2005 Dec;48(6):487-90. Weening B, Walton C, Cole PA, Alanezi K, Hanson BP, Bhandari M. Lower mortality in patients with scapular fractures. J Trauma. 2005 Dec;59(6):1477-81. Bhandari M, Zlowodzki M, Cole PA. From eminence-based practice to evidence-based practice: a paradigm shift. Minn Med. 2004 Apr;87(4):51-4. Zlowodzki M, Bhandari M, Brown G, Cole PA, Swiontkowski MF. Planning a randomized trial: determining the study sample size. Techniques in Orthopaedics. 2004 Jun;19:72-76. Cole PA, Zlowodzki M, Kregor PJ. Treatment of proximal tibia fractures using the less invasive stabilization system: surgical experience and early clinical results in 77 fractures. J Orthop Trauma. 2004 Sep;18(8):528-35. Kregor PJ, Stannard JA, Zlowodzki M, Cole PA. Treatment of distal femur fractures using the less invasive stabilization system: surgical experience and early clinical results in 103 fractures. J Orthop Trauma. 2004 Sep;18(8):509-20. Zlowodzki M, Williamson S, Cole PA, Zardiackas LD, Kregor PJ. Biomechanical evaluation of the less invasive stabilization system, angled blade plate, and retrograde intramedullary nail for the internal fixation of distal femur fractures. J Orthop Trauma. 2004 Sep;18(8):494-502. Cole PA, Bhandari M. What’s new in orthopaedic trauma. J Bone Joint Surg Am. 2004 Dec;86-A(12):2782-95. Kregor PJ, Zlowodzki M, Stannard J, Cole PA. Submuscular plating of the distal femur. Operative Techniques in Orthopaedics. 2003 Apr;13(2):85-95. Cole PA, Zlowodzki M, Kregor PJ. Compartment pressures after submuscular fixation of proximal tibia fractures. Injury. 2003 Aug;34 Suppl 1:A43-6. Cole PA, Zlowodzki M, Kregor PJ. Less Invasive Stabilization System (LISS) for fractures of the proximal tibia: indications, surgical technique and preliminary results of the UMC Clinical Trial. Injury. 2003 Aug;34 Suppl 1:A16-29. Cole PA. What’s new in orthopaedic trauma. J Bone Joint Surg Am. 2003 Nov;85-A(11):2260-9. Cole PA. Endosteal allograft plating for the treatment of recalcitrant nonunions. Techniques in Orthopaedics. 2003 Dec;18(4):344-355. Cole PA. Scapula fractures. Orthop Clin North Am. 2002 Jan;33(1):1-18, vii. Cole PA, Craft JA. Treatment of osteoporotic ankle fractures in the elderly: surgical strategies. Orthopedics. 2002 Apr;25(4):427-30. Cole PA, Frick SL, Sanders DW, Saleh KJ, Shin AY. AOA 2001 John J. Fahey, MD, Memorial North American Traveling Fellowship: fellows’ travel diary. J Bone Joint Surg Am. 2002 May;84-A(5):854-62. Hammit MD, Cole PA, Kregor PJ. Massive perineal wound slough after treatment of complex pelvic and acetabular fractures using a traction table. J Orthop Trauma. 2002 Sep;16(8):601-5. Lauren Casnovsky; Kelsey Wise; Logan J. McMillan; Harsh R. Parikh; Sarah C. Peck; Patrick Horst. Does Implant Selection Affect the Inpatient Cost of Care for Geriatric Intertrochanteric Femur Fractures? Orthopaedic Research Society 2019 Annual Meeting. Austin, TX. February 2019. Harsh Parikh; Dylan McCreary; Logan McMillan; Sandy Vang; Patrick Horst;. Disproportionate Financial Losses Observed for Inpatient Hospitalizations in Medicare Patients With Intertrochanteric Hip Fractures at an Urban, Academic, Level 1 Trauma Center. Orthopaedic Research Society 2019 Annual Meeting. Austin, TX. February 2019. Logan J. McMillan; Kendra Kibble; Harsh R. Parikh; Catlea Gorman; Heather Schaefbauer. Evaluating Implant Cost Variation for Surgically Treated Ankle Fractures. Orthopaedic Research Society 2019 Annual Meeting. Austin, TX. February 2019. Lauren Casnovsky; Melissa White; Harsh R. Parikh; Ann Van Heest. Trend and Economic Implications of Implant Selection in the Treatment of Intertrochanteric Hip Fractures: A Review of the American Board of Orthopaedic Surgery Database 1999–2017. Orthopaedic Research Society 2019 Annual Meeting. Austin, TX. February 2019. Kelsey Wise; Tiffany Gorman; Harsh Parikh; Logan McMillan; Sandy Vang; Brad Plowman; Patrick Horst. Variation of Inpatient Cost of Care in the Treatment of Isolated Geriatric Hip Fractures. Orthopaedic Research Society 2019 Annual Meeting. Austin, TX. February 2019. Harsh R. Parikh, David Shearer, William T. Obremskey, Henry C. Sagi, Robert V. O’Toole, Brian Cunningham. Subtrochanteric Femur Fractures Treated with Reconstruction Nails have a Lower Reoperation Rate Compared to Cephalomedullary Nail Fixation: Matched Cohort Study of 232 Patients. American Academy of Orthopaedic Surgeons 2019 Annual Meeting. Las Vegas, Nevada. March 2019. Podium Presentation. Kelsey Wise, Harsh R. Parikh, Sandy Vang. Cost Savings of Carpal Tunnel Release Performed In-Clinic Compared to an Ambulatory Surgery Center: Time-Driven Activity-Based Costing. American Academy of Orthopaedic Surgeons 2019 Annual Meeting. Las Vegas, Nevada. March 2019. Poster Presentation. Lauren C. Zurek, Harsh R. Parikh, Sandy Vang, Brian Cunningham, Marc F. Swiontkowski. Factors Associated with Emergency or Urgent Care Visits Following Outpatient Orthopaedic Trauma Surgery. American Academy of Orthopaedic Surgeons 2019 Annual Meeting. Las Vegas, Nevada. March 2019. Poster Presentation. Harsh R. Parikh, Sandy Vang, Peter A. Cole, Brian Cunningham. Orthopaedic Implant Cost Perceptions among Surgeons and Healthcare Administrators. American Academy of Orthopaedic Surgeons 2019 Annual Meeting. Las Vegas, Nevada. March 2019. Poster Presentation. Lauren Casnovsky, Harsh R. Parikh, Ann E. Van Heest, Brian Cunningham. Trend and Economic Implications of Implant Selection in the Treatment of Intertrochanteric Hip Fractures: A Review of the American Board of Orthopaedic Surgery Database 1999-2017. American Academy of Orthopaedic Surgeons 2019 Annual Meeting. Las Vegas, Nevada. March 2019. Poster Presentation. Cole PA, Dugarte AJ. The Pelvic Bridge for Anterior Pelvic Ring Stabilization. In: Henley MB, Gardner MJ, eds. Harborview Illustrated Tips and Tricks in Fracture Surgery. 2nd ed. Cole PA, Dugarte AJ. MIO in Scapula Neck and Body Fracture Care. In: Henley MB, Gardner MJ, eds. Harborview Illustrated Tips and Tricks in Fracture Surgery. 2nd ed. Cole PA, Dugarte AJ. Mini-Modified Judet Approach in Scapula Fracture Fixation. In: Henley MB, Gardner MJ, eds. Harborview Illustrated Tips and Tricks in Fracture Surgery. 2nd ed. Cole PA, Dugarte AJ. Tips and Tricks for Reduction and Fixation of the Scapula Neck and Body. In: Henley MB, Gardner MJ, eds. Harborview Illustrated Tips and Tricks in Fracture Surgery. 2nd ed. Cole PA, Dugarte AJ. IliosacralWasher Removal. In: Henley MB, Gardner MJ, eds. Harborview Illustrated Tips and Tricks in Fracture Surgery. 2nd ed. Cole PA, Dugarte AJ. The Skiver Screw Technique. In: Henley MB, Gardner MJ, eds. Harborview Illustrated Tips and Tricks in Fracture Surgery. 2nd ed. Cole PA, Dugarte AJ. Calcaneal External Fixation. In: Henley MB, Gardner MJ, eds. Harborview Illustrated Tips and Tricks in Fracture Surgery. 2nd ed. Cole PA, Horazdovsky RD. Shoulder Girdle Injuries. In: Robinson JD, editor. Orthopaedic Trauma in the Austere Environment: A Practical Guide to Humanitarian Care. Switzerland: Springer; 2016. p. 431-452. Cunningham BP, Bolley B. Telemedicine and Smartphones: Is There a Role for Technology in the Austere Environment. In: Robinson JD, editor. Orthopaedic Trauma in the Austere Environment: A Practical Guide to Care in the Humanitarian Setting. Switzerland: Springer; 2016. p. 677-684. Lafferty PM. Extracapsular Proximal Femur Fractures. In: Court-Brown C, McQueen M, Swiontkowski MF, Ring D, Friedman SM, Duckworth AD, editors. Musculoskeletal Trauma in the Elderly. Boca Raton, FL: CRC Press/Taylor & Francis; 2016. Cole PA, Lafferty PM, Levy B, Watson T. Tibial Plateau Fractures. In: Browner BD, Jupiter JB, Krettek C, Anderson P, editors. Skeletal trauma: Basic science, management, and reconstruction, 5th Ed. Philadelphia, PA: Elsevier/Saunders; 2015. p. 1937-2015. Cole PA, Schroder LK, Jacobson AR. Scapula and Rib Fractures. In: Browner B, Jupiter J, Krettek C, Anderson P, editors. Skeletal trauma: Basic science, management, and reconstruction, 5th Ed. Philadelphia, PA: Elsevier/Saunders; 2015. p. 1519-1555. Ly TV, Swiontkowski MF. Intracapsular Hip Fractures. In: Browner B, Jupiter J, Krettek C, Anderson P, editors. Skeletal trauma: Basic science, management, and reconstruction, 5th Ed. Philadelphia, PA: Elsevier/Saunders; 2015. p. 1607-1682. Swiontkowski MF, Li M. Pelvic and Acetabular Fractures. In: Mencio GA, Swiontkowski MF, Green NE, editors. Skeletal trauma: Basic science, management, and reconstruction, 5th Ed. Philadelphia, PA: Elsevier/Saunders; 2015. p. 311-364. Cole PA, Jacobson AR. Shoulder Girdle Injuries. In: Surgical Treatment of Orthopaedic Trauma 2nd Ed, Stannard J, Schmidt A, Kregor PJ, eds. New York, Theime Medical Publisher Inc. 2015: pp285-331. Cole PA, Gammon SR. Fractures of the Clavicle, Scapula, and Glenoid. In: Boyer MI, ed. AAOS Comprehensive Orthopaedic Review 2. Rosemount, IL: American Academy of Orthopaedic Surgeons. 2014: 285-292. Benirschke S, Meinberg E, Anderson S, Jones C, Cole P. Fractures and Dislocations of the Midfoot: Lisfranc and Chopart Injuries. In: Pagnano MW, Hart RA, eds. Instructional Course Lectures, Volume 62. Rosemont, Il: American Academy of Orthopaedic Surgeons 2013;62:79-91. Ly TV. Femoral neck fractures: Indications/results/treatment/techniques. In: Berry DM, Lieberman J, eds. Surgery of the hip. Philadelphia, PA: Elsevier Saunders; 2013. Ly TV, Templeman DC. Hip dislocations, femoral head fractures, and acetabular fractures. In: Swiontkowski MF, Stovitz SD, eds. Manual of orthopaedics, 7th ed. Philadelphia, PA: Wolters Kluwer/Lippincott Williams & Wilkins Health; 2012. p. 401-415. Ly TV, Templeman DC. Fractures of the pelvis. In: Swiontkowski MF, Stovitz SD, eds. Manual of orthopaedics, 7th ed. Philadelphia, PA: Wolters Kluwer/Lippincott Williams & Wilkins Health; 2012. p. 389-400.